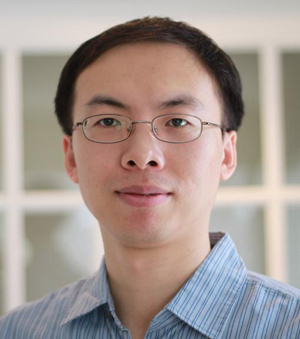 Zhiqiang Cao, associate professor of chemical engineering and materials science in the Wayne State University College of Engineering, has been selected to receive the WSU Academy of Scholars Junior Faculty Award for the 2017-18 academic year. Established in 2003, the award is given annually to select junior faculty members who have a significant record of publications or creative achievement and who have attained national or international recognition early in their careers. Cao will be honored at the academy’s annual banquet in October. He will also be awarded $1,000 for research and development, and have the opportunity to present his research to the academy. Cao, who holds a Ph.D. in chemical engineering from the University of Washington, joined the Wayne State faculty in January 2013 and was promoted to associate professor earlier this year. His research interests include material and surface chemistry, biomaterials, antifouling and antimicrobial coatings, biosensors, nanomedicine, and tissue engineering. Cao leads a research team that was awarded a $1.3 million Type 1 Diabetes Pathfinder Award from the National Science Foundation’s National Institute of Diabetes and Kidney Diseases to support development of a material formulation intended to increase the longevity of insulin treatment implants. The Academy of Scholars was founded to raise the scholastic prestige of Wayne State University by bringing the most prominent academic experts to campus and creating a community of scholars from among its most celebrated researchers. Visit academy.wayne.edu to learn more.